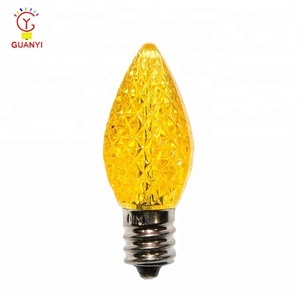 Dongguan Huadeng Lighting Co., Ltd.
We use the best technology to ensure the quality of each pastel c7 bulbs. We aim to provide our customers with best products and service at a reasonable price. As we are a factory, we can provide best products with best quality, we also accept customized products . 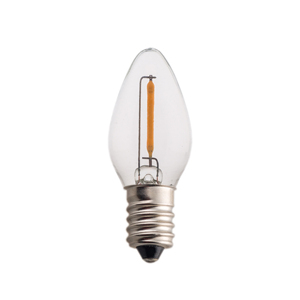 2W filament bulb c7 led e12 for halogen replacement 2w filament led candle light bulb lighting Parameter: Power:2W LED chip:1piece led filament chip Input Voltage:AC220V 110V Beam Angle:360&deg; Luminous Flux:180-200LM Size:23*55mm CRI:&gt;80 Color Temperature:2200K, 2700K, 6000K Lifetime:20000H Material:Al+Glass Base:E14/E12 Guarantee:2 years Certificate:CE,ROHS,FCC Picture Show Picture show of C7 led Filament candle light bulbs Production Flow LED Filament bulb Production flow LED Filament light with CE ROHS ETL certificates More Filament types For More types of LED Filament bulbs, please click below picture to see more details. We believe you will find the right one from our store. 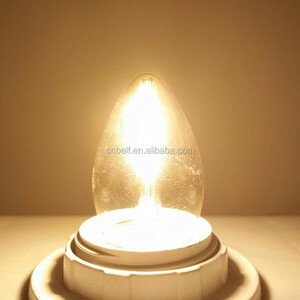 Alibaba.com offers 384 c7 led replacement bulb products. About 50% of these are led bulb lights, 17% are holiday lighting, and 4% are auto lighting system. A wide variety of c7 led replacement bulb options are available to you, such as abs, glass, and plastic. You can also choose from e11, e14, and e17. 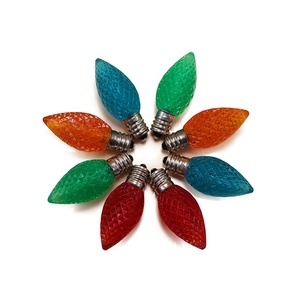 As well as from candle lights, corn lights, and r7s. 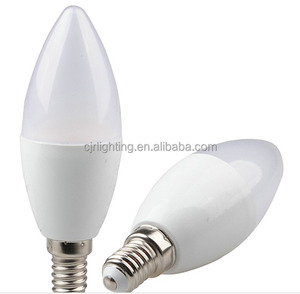 And whether c7 led replacement bulb is ip65, or ip68. 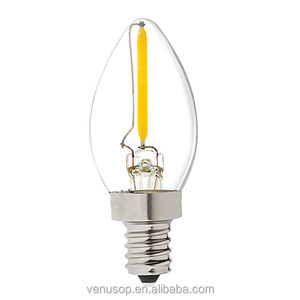 There are 303 c7 led replacement bulb suppliers, mainly located in Asia. 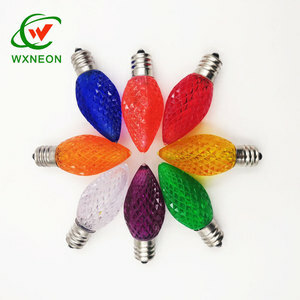 The top supplying countries are China (Mainland), Taiwan, and United States, which supply 99%, 1%, and 1% of c7 led replacement bulb respectively. 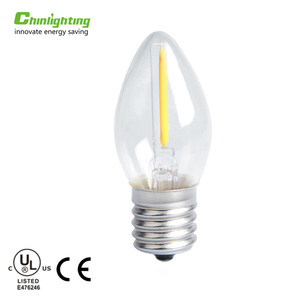 C7 led replacement bulb products are most popular in Western Europe, Mid East, and Southeast Asia. You can ensure product safety by selecting from certified suppliers, including 17 with ISO9001, 6 with Other, and 4 with SA8000 certification.